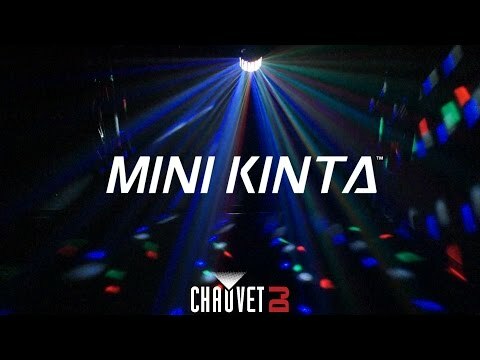 Fitted with 3W LEDs to punch through nearly any ambient lighting, Mini Kinta™ fills the room with sharp beams and features more output and broader coverage than derby effects twice its size. Floor-to-ceiling and wall-to-wall coverage is effortless with red, green, blue and white effects. Let the built-in programs do the work or use DMX to program your own light show. 7.5" x 10.1" x 7.2"